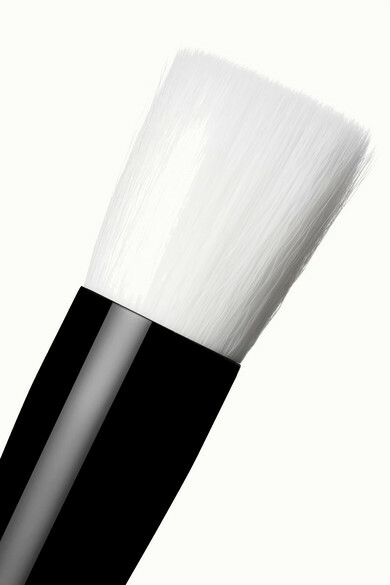 Rae Morris says this brush is a favorite for applying liquid foundations, explaining that the bristles are designed to pick up and retain product so you don't have to keep going back for more. She suggests starting with half your normal amount and using quick, circular motions. Pick up the 'Mini' one for on-the-go touch-ups.